From number one bestselling author Matt Haig comes a hilarious and heartwarming story, brilliantly illustrated throughout by Chris Mould'Wherever she is, whatever the day,She only has one kind of thing to say. Just as cats go miaow and cows go moo,The Truth Pixie can only say things that are true. 'A very funny and lovable tale of how one special pixie learned to love herself. 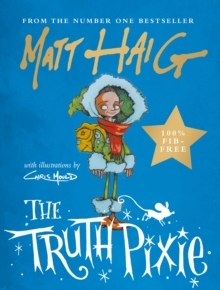 The Truth Pixie is an enchanting, rhyming story that will delight younger readers - with words by the bestselling mastermind Matt Haig and pictures by the inky genius Chris Mould.